Krugerrand gold coins are a very wise choice for most experienced investors for many different reasons. The market price of gold has gone up by incredible numbers in the last few years, and this makes bullion in all forms highly sought after. Krugerrands offer things that most other forms of bullion may not, which is why these are so popular with investors. These gold bullion coins are one of the few minted from this precious metal that can be used as legal tender, because in South Africa where they are minted Krugerrands have currency value as well as the value of the gold bullion. The history and appeal of Krugerrand gold coins can make them ideal in many ways. Gold Krugerrands have been minted since 1967 by the government of South Africa, and each bar has a known quality and quantity. However, these became available on the American precious metal market only after 1974 when Americans regained their right to take physical possession of precious metals. 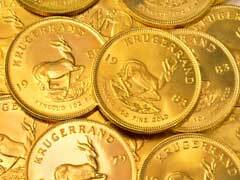 A decade later in 1985 a ban was imposed on selling Krugerrands in the US due to unfavorable political situation in South Africa virtually stopping to import these into the States. Only in 1994 Krugerrands once again appeared on the American market of precious metals. There are other coins that experienced investors may choose to buy as well, and the gold Maple Leaf coins are also well known and very popular. Maple Leaf and American Eagles are very popular choices for bullion buyer but this comes with an added price of dealer charges. With South African coins, on the other hand, there’s a surprisingly low premium to own them. Also not all coins have weight stamped on them, with Krugerrand gold coins you will see the exact weight of the gold stamped right on them, and the quality of their metal is well known. An investment into these South African gold coins will give you flexibility, and liquidity as well. These are more desired than British sovereign gold coins, and other choices when it comes to coins from this precious metal. The original Krugerrand coins could only be found in the one troy ounce size, but now there are also sold in other sizes. These smaller amounts do include a higher premium, and the smaller the coin weight the higher the premium will be, and one of the best benefits of one ounce Krugerrands is their incredibly high ration of value to the premium costs. Krugerrand gold coins have a solid reputation, and can be a very profitable investment at a time when the prices of precious metals are still rising.